This year’s edition of the Christmas fundraiser at St Martin’s will be featuring items created expressly and exclusively for sale at the Christmas Bakeshop & Baubles Bonanza. Among them will be Christmas cakes baked by Fr John, 2018 desktop calendars showcasing St Martin’s stained glass windows and concert tickets to St Martin’s December 10th Cornerstone Adopt-A-Room Campaign. Topping this lovely array of exclusive items will be a treasure trove of Christian-themed olive wood carvings that Fr John and Irene brought back with them from their travels in the Holy Land this past summer. 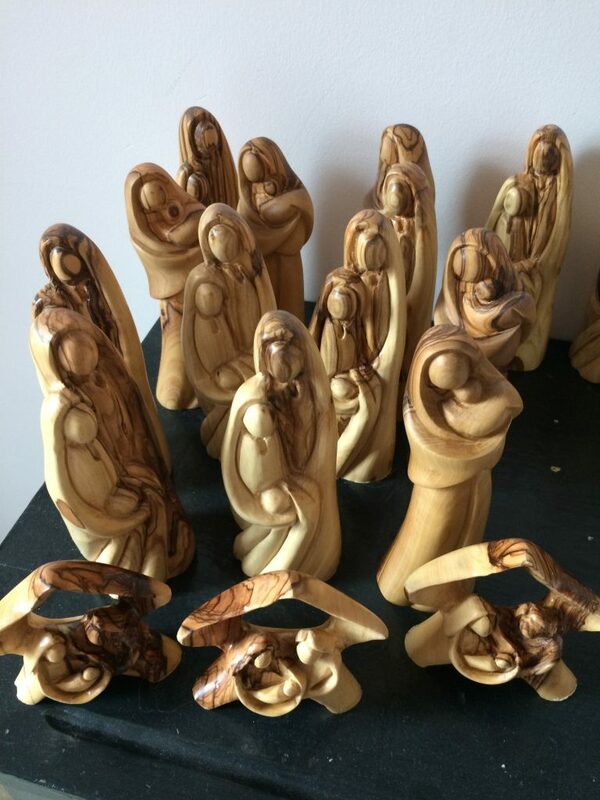 The delicate nativity statues measure two to three inches in height: each one patiently and lovingly carved by an elderly Palestinian Christian man who lives near his olive grove on the West Bank. Pricing for these exquisite keepsakes will range from four to forty dollars with the proceeds destined to support the Parish and Jameel Khoury, a student from Gaza.